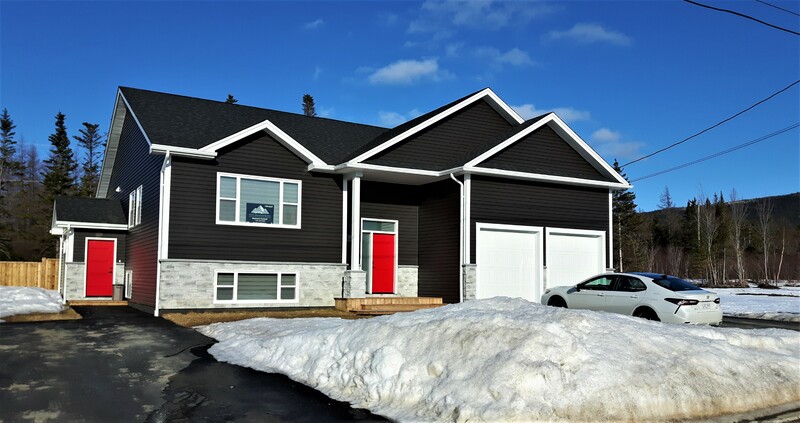 Easily fall in love with this newly built 2018 home on brand new Pike Street with unique, high end finishes you will not see anywhere else. The main house has 4 spacious bedrooms, 3 full bathrooms and tons of storage space! Some of the features include Engineered hardwood throughout on both levels, High end Porcelain tile in Kitchen, Bathrooms, Laundry room and front entrance. Custom Built fireplace feature in Living room, Beautiful Modern Crown moldings throughout, custom high end kitchen, fixtures and so much more! There is a double attached garage as well as a detached 20 x 30 fully insulated and powered shed with both 120v and 240v service and a 12 hr burning wood stove. The yard is level, landscaped with new sod, fully fenced and also boasts a covered deck out back for those rainy day barbecues! This home backs onto green space where you can leave on your Snowmobile right from your own yard and hit the trails! To top it off, the home also has a completely self contained, Executive 2 bedroom unit with its own entrance, paved driveway, yard and deck! All completely separate from the main house and fully outfitted with high end appliances. New Construction – less than one year old! Central location, Flat lot, Landscaped, Fully Fenced, Pressure treated deck, walking distance to all amenities.